When you’re choosing a pool fence there are many factors to consider. Height, fence configuration, and even the color are all things that you need to decide before the fence is installed. At Protect-A-Child Pool Fence, you will find several different pool fence color options to suit your environment and to complement your home. You can mix and match colors to complement your style needs and the rest of your patio and pool area. Our fiberglass fence posts are designed with built-in pigment, so you don’t need to worry about the color chipping or flaking off. Which color is right for you? 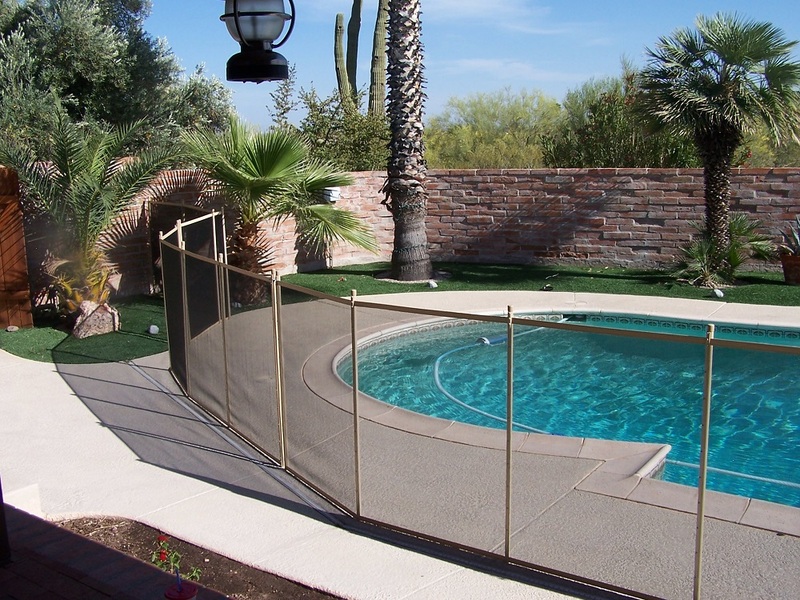 The most popular colors in pool fences are tan and brown, especially in desert landscapes because they blend in with the surroundings. Others prefer black because it’s more traditional and often offers a nice contrast. It is also the most transparent choice. The general idea is to choose a color combination that matches your outdoor décor. Many times this means choosing a two-tone color to provide contrast. Whatever color combination you choose you need to consider all three aspects, the mesh, posts, and borders. They all need to coordinate with the rest of your yard and pool design. Black mesh with brown borders and black poles is a popular combination choice because it blends into most backgrounds. 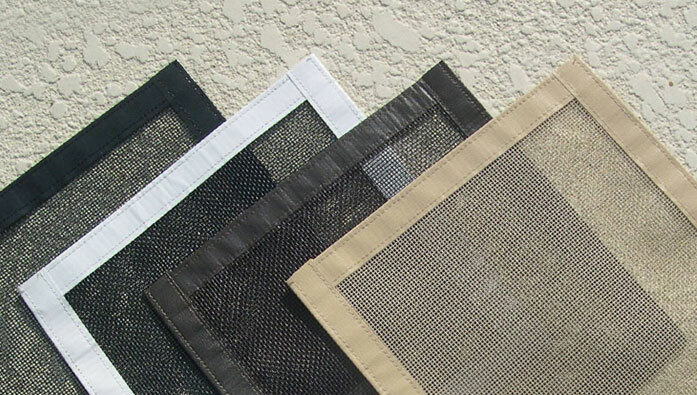 Another popular combination is black mesh with beige borders and beige poles. This neutral combination looks best in light background areas or areas that are mixed with different patterns and styles. This is often the more elegant choice. Although white pool fences are available they are sometimes the least popular choice because they don’t blend into the environment well and are the least transparent. While you want the fence to protect your pool, you also want to be able to see into it when you’re sitting around your patio area. At Protect-A-Child Pool Fence, our experts can help you decide which color combination would look best. We are also your go-to team for all safety concerns and questions when it comes to pool fences. 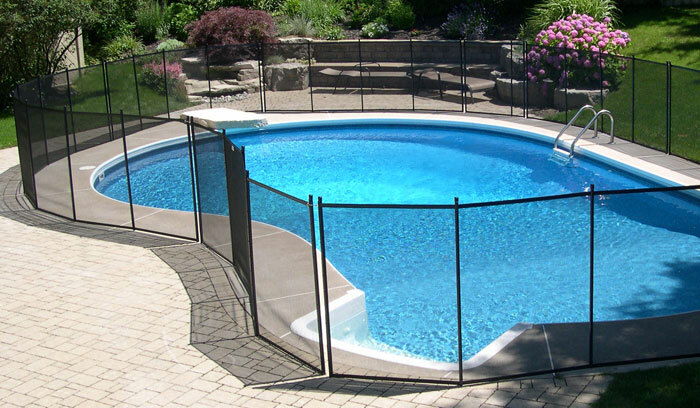 For more information on pool fences contact Protect-A-Child Pool Fence at 1-800-992-2206. 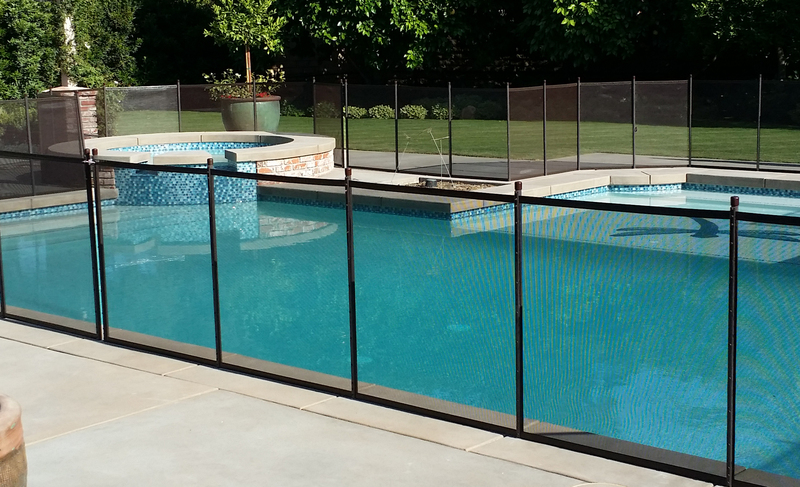 We will go over the different features so you can see how a pool fence can protect and enhance your pool area.